Welcome to this month’s giveaways! Each month we offer at least one giveaway to our loyal readers as a way to say thank you. These may range from anything from luggage to travel clothing to travel vouchers to photography gear. We strive for these giveaways to be open to as many of our readers and subscribers as possible. However, given rules, legislation, and shipping restrictions, this is not always possible and many of the giveaways do have geographical restrictions (as well as other restrictions) so please be sure to note these before entering a giveaway. We run regular giveaways that are exclusive to our newsletter subscribers. You must be a newsletter subscriber to be eligible for our giveaways. Please enter the giveaways using the name and email you use to receive our emails. If you sign up to the giveaways and are not a confirmed newsletter subscriber, your entry will be discarded. If you have any questions about subscribing to our newsletter, or don’t receive the confirmation e-mail, please contact us. This month we have three fantastic giveaways for you: a day tour in Iceland of your choice from Iceland Travel, custom travel posters from Just Go Travel Studios, and a travel wrap. 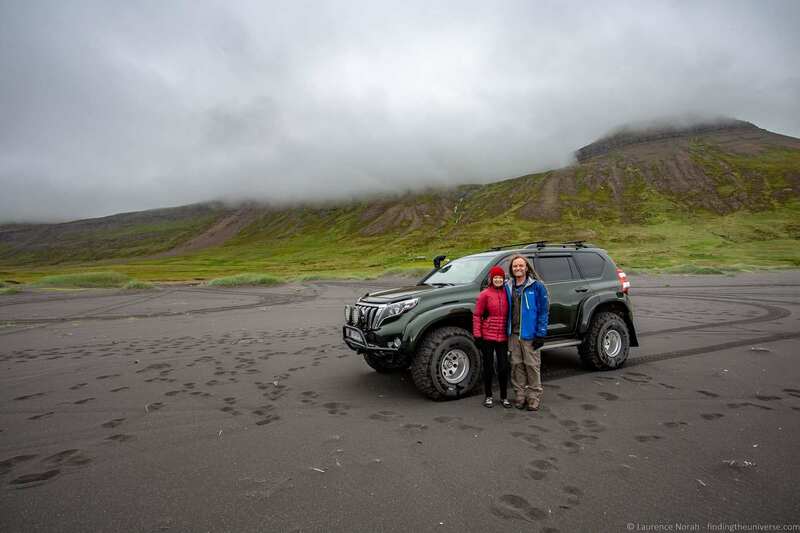 We’ve travelled in Iceland on two big trips, once in summer and once in winter, and on both our adventures we travelled with Iceland Travel, who helped us put together our detailed self-drive road trip itinerary. As well as self-drive road trips, they also offer day trips and guided multi-day group tours, letting you see many of the highlights of Iceland without having to worry about driving yourself. You can read about some of our experiences in Iceland with Iceland Travel in our guide to planning a trip to Iceland, our guide to the best photography locations in Iceland, and our guide to visiting Iceland in winter. As you can imagine, we are thrilled this month to be partnering with Iceland Travel to give away a choice of day tours for two people. Even better, this prize is going to have 3 winners, so you have more chances of winning! If you are planning a trip to Iceland in the next 2 years, this is a great giveaway for you! The winners will be able to choose from any of the tours listed on this special giveaway page on the Iceland Travel website here. Most day tour depart from Reykjavik, Iceland’s capital, but some tours also depart from other locations, including Isafjordur, Egilsstadir, and Husavik. Here are some ideas of tours you could take, but there are loads more to choose from which you can see on the Iceland Travel giveaway page here. Note that some of these tours are seasonal so the tour you choose may depend on when you are planning to visit. 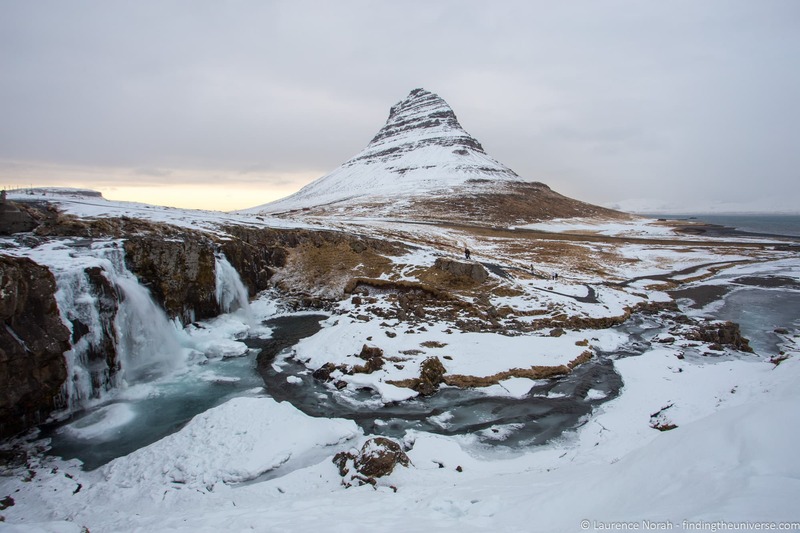 Three winners will each be entitled to a day tour for two people from the list on the Iceland Travel giveaway page here. The tour must be booked and taken by 31st December 2020. Reservations will be subject to tour availability. See the full terms and conditions below for more information. 1 – You need to be signed up for our newsletter. If you get our monthly newsletters, you are eligible! If you’re already signed up you don’t need to sign up again. Skip to #2. If you are not a subscriber, you can sign up using the form at the top of the page, or on this page. After you sign up for our newsletter, you’ll be sent an e-mail to asking you to confirm your sign-up. You’ll need to click the link in the email to confirm and activate your subscription before you are eligible to participate. Once you do that, come back here and sign up for the giveaway! Before signing up, read over the rules (listed in detail below the entry form) to make sure you are eligible to apply. While we strive to have our giveaways open to all subscribers, some of the giveaways have geographical, residency, age, or other restrictions. 3 – Use the form below to enter the giveaway. You must use the same e-mail address that you used to sign up to the newsletter with, as we’ll be checking e-mails this way to validate your entry. You must be an active subscriber when we make the draw to be eligible to win! 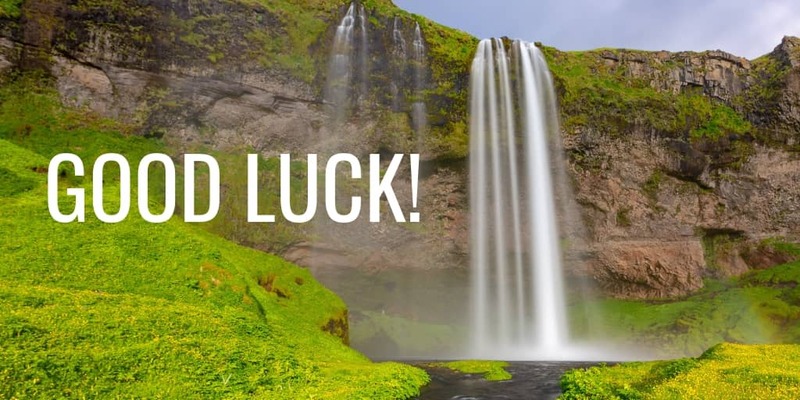 Winners will be randomly drawn with 3 winner receiving a tour voucher good for two people for any 1 day tour or activity from the list on the Iceland Travel giveaway page here. The retail value of the giveaway is approx USD $80 – $700, based upon full tour prices in 2019. Applicants must be 18 years or older, have a valid email address, and have a valid mailing address. Winners will be contacted by the email provided (so please use an email to enter that you check regularly). If a winner does not respond to email within 72 hours, another winner will be chosen. The winner will be contacted via email by us, and we will provide winners contact details to Iceland Travel solely for the purpose of fulfilling the prize. Note you can unsubscribe from the newsletter at any time, but you must be an active subscriber when the draw takes place to be eligible to win. Draws take place within a week of the giveaway closing. The data entered into the giveaway form will solely be used for the purposes of verifying your entry, checking you are an active newsletter subscriber and contacting you if you are a winner. Winners (first name and last initial, and country of residence) will be announced on the bottom of this page and in our monthly newsletter. We thank Iceland Travel for providing this awesome prize for this giveaway! These are the full terms and conditions! 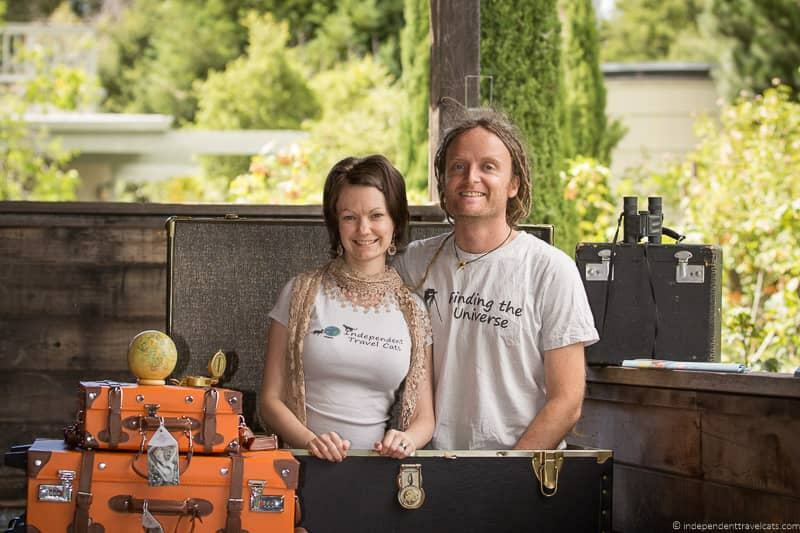 Finding the Universe & Independent Travel Cats contributors, and their family members or anyone else connected in any way with the giveaway including helping to set up the giveaway shall not be permitted to enter the giveaway. The giveaway is only open to active newsletter subscribers of the Finding the Universe & Independent Travel Cats monthly newsletter. You must be 18 years of age or older to participate in the giveaway. You must fill out all the requested information in the entry from to be eligible. Incomplete entries will not be considered. Closing date for entry is April 27, 2019 at midnight EST. After this date no further entries to the giveaway will be permitted. Only one entry may be submitted per participant. Multiple entries will not be considered, and will invalidate all entries by participant. Incomplete, incorrect or otherwise invalid entries will not be considered. The Promoter reserves the right to verify the eligibility of all participants. The prizes are as follows: 3 winners will receive a 1 day Iceland Travel tour or activity for two (2) people, valid for any of the tours listed on this page. Reservations will be subject to availability. The prize does not include any flights. The winner is responsible for arranging their own transport to the tour start location. The tour must be booked and taken by 31st December 2020. Does not cover any extra fees as optional activities or entrance fees – please see tour “inclusions” online. The promoter reserves the right to cancel or amend the giveaway and these terms and conditions without notice and for any reason. Any changes to the giveaway will be notified to entrants as soon as possible by the promoter. No cash alternative to the prizes will be offered. The prizes are not transferable. Prizes are subject to availability and the promoter reserves the right to substitute any prize with another of equivalent value without giving notice. Winners will be drawn at random from all valid entries. The odds of winning will depend on the number of entries received. Promoters are not responsible for prize fulfillment nor for any technical failures. Winning entry will be verified. A list of winners will be displayed on this page and published in the monthly newsletter. Promoter reserves the right to publish winner’s first name and last initial and country of residence. Any personal data relating to the winner or any other entrants will be used solely in accordance with current UK data protection legislation and will not be disclosed to a third party without the entrant’s prior consent. The winner will be notified by email within 10 days of the closing date. If the winner cannot be contacted or does not claim the prize within 72 hours of notification, the promoter reserves the right to withdraw the prize from the winner and pick a replacement winner. The winner consents to providing their name, email, and mobile contact number to the promoters for the sole purpose of enabling their prize to be delivered. The promoters’ decision in respect of all matters to do with the giveaway will be final. The giveaway and these terms and conditions will be governed by UK law and any disputes will be subject to the exclusive jurisdiction of the courts of the UK. Residents of Canada will be required to answer a skill-testing question to claim their prize. Whilst the rise in digital photography has been a massive benefit in many ways (no longer having to travel with rolls of film, hurrah! ), there has been a downside – we don’t seem to have physical versions of our photos so often. And nothing makes for a great memory of a trip like a printed image from that trip that you can hang on your wall, place on your desk, or sit above your fireplace. But what if you could go one step further, and get a cool vintage-style poster of your travel image, with customized text specific to your trip? Well, you can! Thanks to Pete and Amy of Just Go Travel Studios, who can help you create awesome vintage-style travel posters. I think you’ll agree, they are both pretty cool. Just Go Travel Studios have a 100% five star rating from their existing customers. As well as posters they also offer postcards, cards, and calendars. The process of creating a poster is also really collaborative – they really want to be sure you are going to be happy with the final product before it ships. So they will do as many revisions as needed to get you the perfect poster. To see more about the posters and how they are made, see this page. 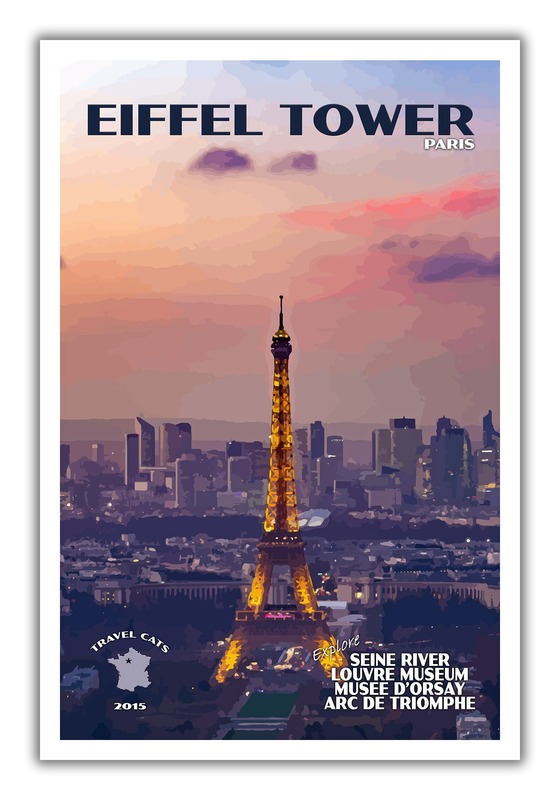 These posters are great travel souvenirs and they also make great gifts for a special traveler in your life. For this giveaway, one winner will receive three (3) 12 x 18″ vintage-style travel posters that the winner will create in collaboration with Pete and Amy of Just Go Travel Studios using their own photos. Prize includes free shipping anywhere in the USA or Canada. We also have a DISCOUNT CODE if you can’t wait to see if you’ve won. You can save 20% on any order on the Just Travel Go Studios site by entering INDEPENDENTTRAVELCATS20 at checkout. This code is valid for orders until May 31, 2019. 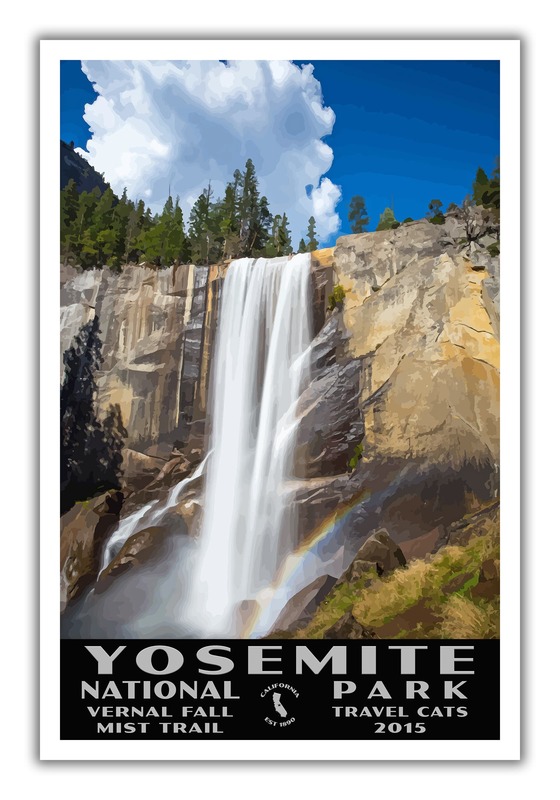 Winners will be randomly drawn with 1 winner receiving three (3) 12 x 18” custom, vintage-style travel posters (from photos submitted by the winner), shipped anywhere in the US / Canada. The retail value of the giveaway is approx USD $135. The winner will be contacted via email by us. Your contact information will then be given to Just Go Places so that you can create your custom travel posters and ship them to your mailing address. The prize is as follows: 1 winner will receive 3 12 x 18” custom, vintage-style travel posters (from photos submitted by the winner), shipped anywhere in the US / Canada. The winner consents to providing their name, email, mailing address and mobile contact number to the promoters for the sole purpose of enabling their prize to be delivered. A travel wrap is a great versatile travel garment that can often be used as a shawl, a scarf, and a travel blanket. Most travel wraps are lightweight and compact enough to fold up and store in a purse or backpack. Jess likes to use them to stay warm on chilly airplanes and long bus rides, cover her shoulders when entering churches, dressing up plain outfits, and as an extra layer of warmth when sitting outside. We’re thrilled this month to be giving away your choice of two travel wraps: a HappyLuxe Wayfarer Travel Wrap or a Melifluous Poncho Style Wrap. Both are very versatile and come in a number of different colors. Winner will receive one (1) travel wrap of their choice. Winner chooses brand and color. The total retail value is approximately $45.00 USD. If you get our monthly newsletters, you are eligible! If you’re already signed up you don’t need to sign up again and you can skip to the newsletter entry form. When you sign up for our newsletter, you’ll be sent an e-mail to asking you to confirm your sign-up. You’ll need to click the link to confirm and activate your subscription. Before signing up, read over the rules (listed in detail below the entry form) to make sure you are eligible to apply. While we strive to have our giveaway open to all subscribers, some of the giveaways have geographical, residency, age, or other restrictions. Winners will be randomly drawn with 2 winners, each receiving one (1) travel wrap each. The retail value of the giveaway is USD $45 for each winner. The winner will be contacted via email by us and the travel wrap will be sent to the winner’s mailing address. The prizes are as follows: 1 winner will receive 1 travel wrap as described above. The winner consents to providing their name, email, mailing address, and mobile contact number to the promoters for the sole purpose of enabling their prize to be delivered. If you have any questions or concerns about the giveaways, please let us know in the Comments section below or email us directly. Becky P. from London, England, UK who won a tour from Travel Talk worth up to $1,200. Thanks for the travel information for The UK and Ireland! My wife, daughter, and I are looking for info on sightseeing and walking trails. Hi, just found your site today. It’s been a great help as I am planning a UK trip and I had to,know how to get from London to Scotland overland. Much appreciated. Cheers from Canada! Wow super concours! J’aimerais aller au Maroc avec mon mari, pour y fêter nos 15 ans de mariage! C’est notre rêve! Please advise how to take a train from Edinburgh to Leicester England in September 2019. We will be in Leicester for 2 days and then need to get to Heathrow to fly home to the U.S. Would a BritRail pass be worth it for 2 people? (We are coming to England, Ireland, and Scotland to celebrate our 50th Wedding Anniversary and would prefer not to rent a car or go by bus or plane, especially by plane because we will be spending 2 days in Leicester.) We would so appreciate your help. You can take a train from Edinburgh to Leicester as both have train stations, it is about a 4.5 to 5.5 hour train ride (depending on route) with likely a train change or two along the way. Once you know your date, I’d book your train online as you will generally get better rates booking well in advance and also you’ll want to get seat reservations (not available if you book last minute). One website you can use is Trainline as it sells tickets for most of the trains throughout the UK. Tickets in the UK can generally be booked up to 6 months in advance so probably not yet available but the booking for September should open in a month or so. For the BritRail pass, it includes train travel in England, Wales, and Scotland so would not cover the Ireland portion of your trip. To decide if it would be a good value, you’d have to estimate how many train journeys and their approximate cost of buying tickets for each of those journeys to see if it would be above the cost of a BritRail pass. This needs to be purchased from outside of the UK before your journey. For more info about traveling around the UK without a car, you might find our 10 day UK itinerary by public transit article helpful. It is definitely possible to see many of the highlights of the UK and Ireland without a car by taking buses, trains, planes, and planning day tours. J’aimerais gagner ce concours afin d’aller en Irlande et visiter ce pays. Hi I am wondering if I am Tracy C from Australia and your October photography course winner? I haven’t received notification of the win except through the newsletter. I have checked my spam etc. If it is me could you confirm – I am so excited if it is me! Really trying to improve my camera skills! I really enjoy your travel photos, comments, etc. our family is planning to take a European trip in 2019 and your site comes in very handy as a resource for places to see. Keep up the great work. Thank you! So enjoy your adventures and enjoy learning more about photography!